World War II began on 1 September 1939, when Nazi Germany invaded Poland, and ended six years later, on 2 September 1945, with the unconditional surrender of Germany’s ally, Japan. The surrender ceremony took place on board the USS Missouri in Tokyo Bay and was attended by delegations of the victorious Allied powers, including the United States, Britain, the Soviet Union, France, China, Australia, Canada, the Netherlands, and New Zealand. The Soviet Union was engaged in World War II from its outbreak. In September 1939 the Red Army entered Poland; from 30 November 1939 to 12 March 1940 Soviet troops waged war against Finland; and on 22 June 1941 the USSR itself became a victim of aggression by Germany. From the moment of the German invasion and up to the final victory over Germany in May 1945, the Soviet people fought their Great Patriotic War for liberation from the German occupation. By courageously defending their country, they made a decisive contribution toward the final defeat of Germany. In May 1945 their four-year struggle was crowned by the seizure of Berlin. Three months later, implementing the agreements with its war allies, the Soviet armed forces contributed to the routing of Japan. 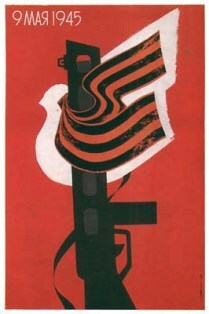 With the end of the war, Soviet official propaganda did everything to amplify the heroic liberation struggle of the Soviet people following the German invasion on 22 June 1941 and to efface the uncomfortable fact that the day of the German attack had been preceded by nearly two years of “friendly relations” between Communist Russia and Nazi Germany. Their cooperation had been officially established by a nonaggression pact, signed by Joachim von Ribbentrop, the German foreign minister, and Vyacheslav Molotov, the People’s Commissar for Foreign Affairs, on 23 August 1939 in Moscow. The news of the Molotov-Ribbentrop Pact, as it became known, came as a great surprise to the Soviet public accustomed to the antifascist rhetoric of the Soviet media. It also caused grave concern in the West, for only a few weeks earlier, in the summer of 1939, Soviet-British-French talks had been held in Moscow intended to work out an international security agreement that would restrain Germany’s aggressive aspirations. The talks ended on 2 August 1939 with a draft agreement on mutual assistance by the three powers. The Soviet nonaggression pact with Germany followed three weeks later and clearly signaled a major change in Soviet foreign policy.